One of my fondest childhood memories around the holidays was visiting a drive through Christmas lights display. It was something I looked forward to every year, but after moving out of state there wasn’t anything like it around our new home. Now having a family of my own, it’s a tradition I thought would be great to share with my kids. 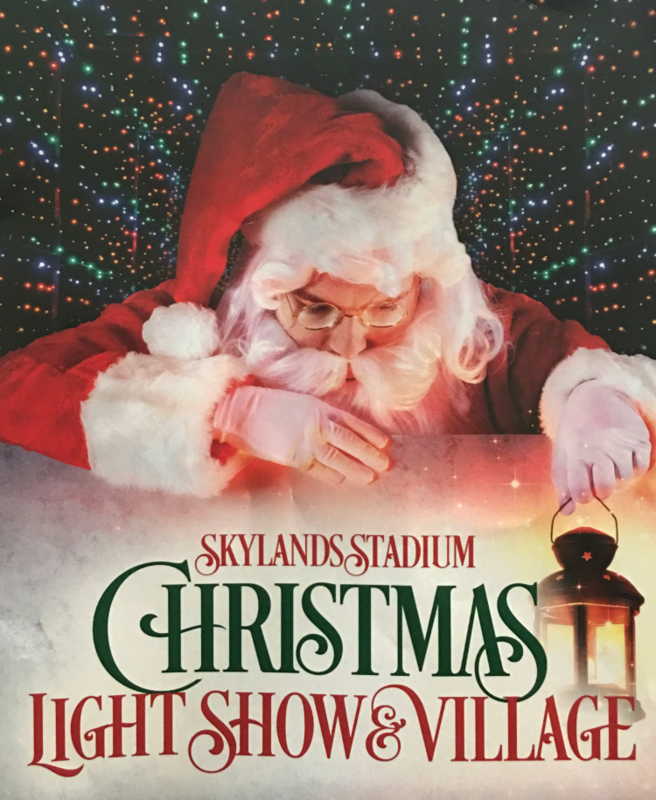 You may know that we moved to New Jersey just over a year ago and last year I was browsing online and discovered Skylands Stadium Christmas Lights Show. The stadium is over an hour away from our home, so we decided not to go last year. But this year, we got the opportunity to check it out. It may not be the same Christmas lights display I experienced as a child, but it is the perfect way to start this fun tradition with my kids, hour drive or not. Every year Skylands Stadium, located in Augusta, NJ, puts on a Christmas Lights Show. 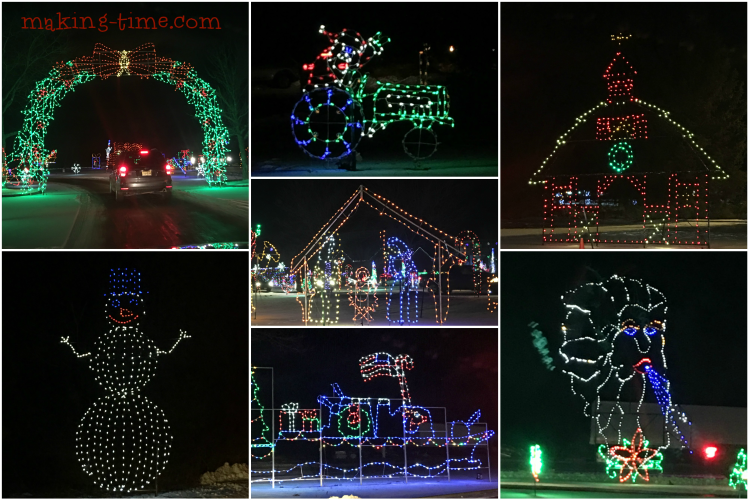 It’s a 1 mile winding drive through light display, currently showcasing over 2 million lights. Simply drive up to the entrance of the light show, pay the admission ($20 per vehicle Fri.-Sun., $17 Mon.-Thurs. ), and you get to drive through the entire lights display with your family. Most evenings the Christmas Lights Show starts at 4:30pm (about the time the sun sets) and is open until 10 or 11 pm. We arrived at about 6 pm this past Sunday and there was a line to gain admission, but it didn’t take too long to get to the front of the line. As soon as we took care of admission, the lights show started right at the entrance. 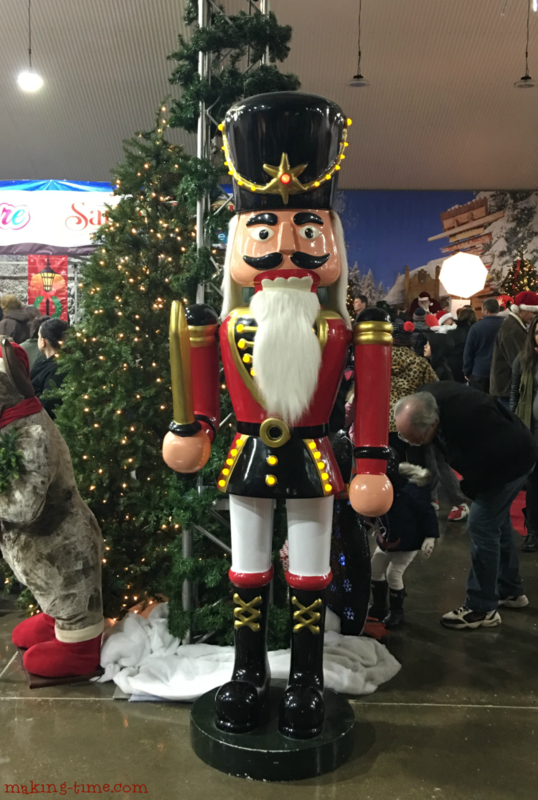 The mile long light display is filled with holiday themed characters and trinkets, and fun light animations – Santa Claus, reindeer, snowmen, candy canes, the nativity scene, wreaths, Christmas trees, gifts, and more. My family’s favorite parts were the displays that we could actually drive under and if I had to choose their most favorite, it was the light tunnel at the end of the show. We were literally encapsulated with lights all around. 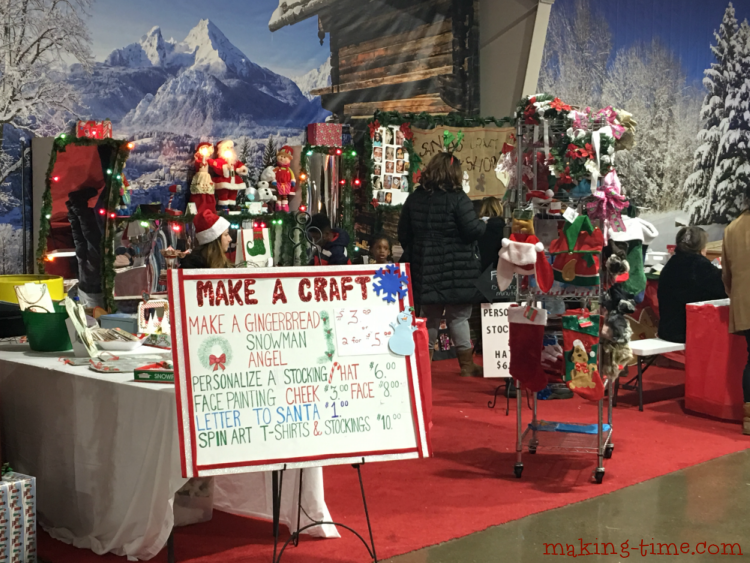 After finishing the Christmas Lights Show, we parked our car and wandered into the Christmas Village, which was filled with various vendors, holiday activities, and goodies. 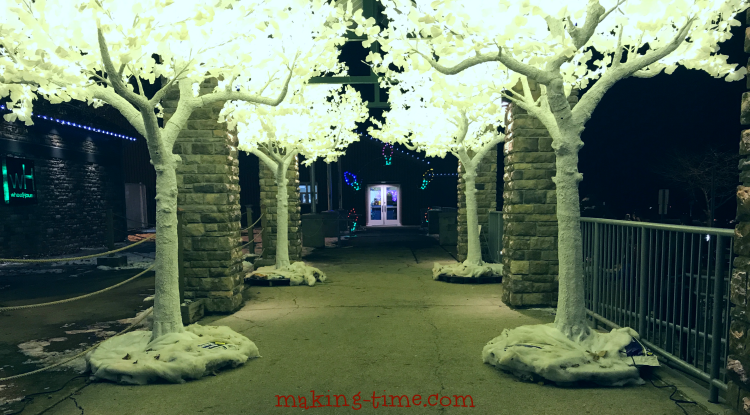 Before actually reaching the Christmas Village we got to walk through Bright Baum Light Forest and Advance Auto Parts Light Tunnel. Bright Baum Light Forest was stunning and lined with white trees lit with white lights. It was very beautiful and makes a great place for a photo opp. Speaking of photo opps, there are plenty of them in the Christmas Village. 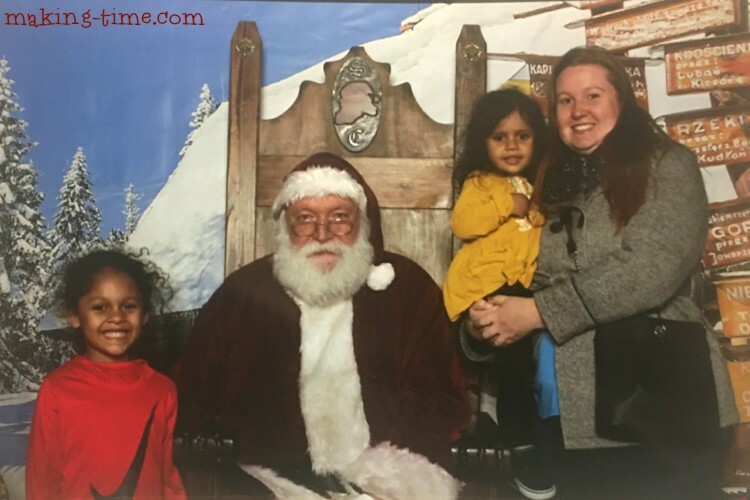 Not only can you get your photo taken with Santa (fee required), but there other fun set ups to take photos – with a nutcracker, in a large nativity scene, with animated reindeer and a sleigh, or an 8 foot polar bear right outside the Christmas Village. 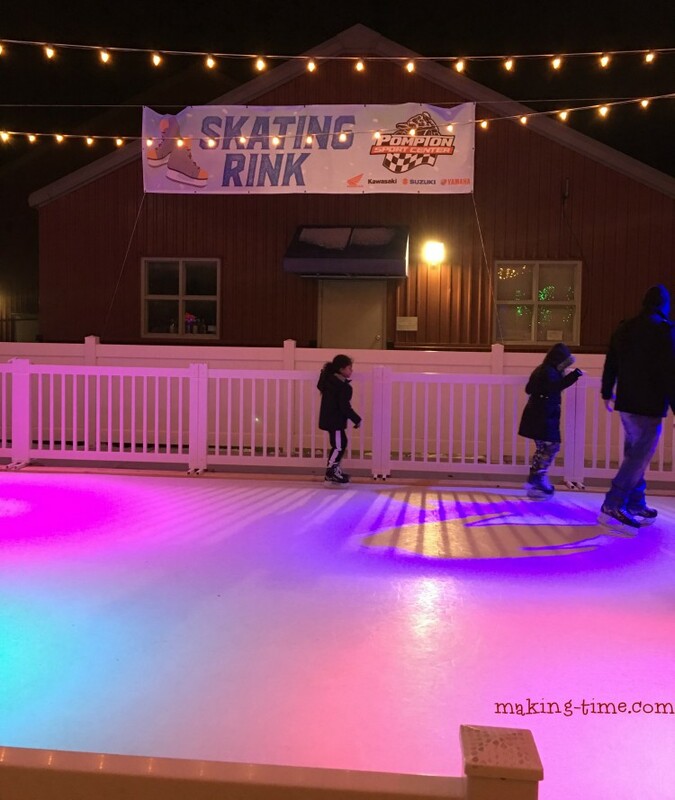 As if this wasn’t enough fun and excitement, right outside the Christmas Village you’ll also find an outdoor grill and fire pit for roasting s’mores, as well as the 20′ x 40′ Pompton Sport Center Skating Rink. I have never tried ice skating before and I’m not even a great roller skater, so when my son asked to ice skate I was skeptical. But we gave in and I’m glad we did because he had a blast. At first he stayed around the outer skirt of the rink so he could hold onto the fence, but after gaining some confidence he found his way to the middle, enjoying every minute of it. 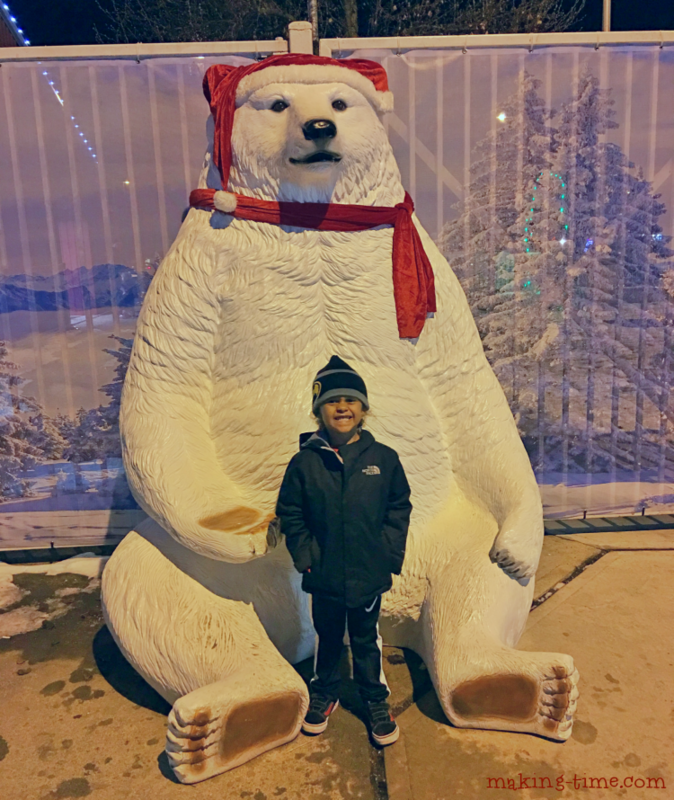 Besides the lights show, I think ice skating is what he’ll remember most about our visit. 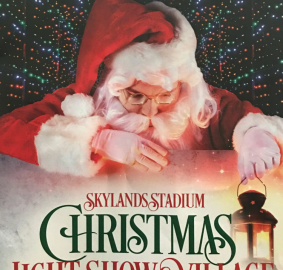 There’s still time this holiday season to check out the Skylands Stadium Christmas Lights Show. It’s open every night through December 30th, with the exception of Christmas Eve and Christmas Day. The Christmas Village is only open through December 23rd. 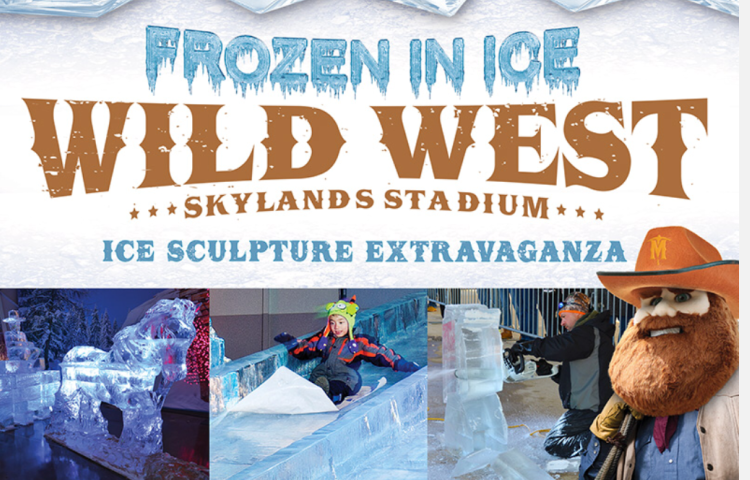 If you can’t make it to the Christmas Lights Show, the Frozen in Ice Wild West Ice Sculpture Extravaganza starts January 27th. It will be filled with over 100 tons of ice used for ice sculptures and more. Take a ride down the ice slide or try to find your way through life-sized ice maze. 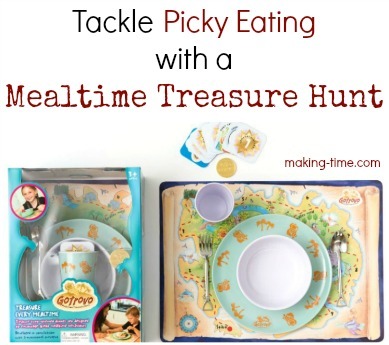 It’s sure to be more family-filled fun! What is a childhood holiday tradition you share with your kids? 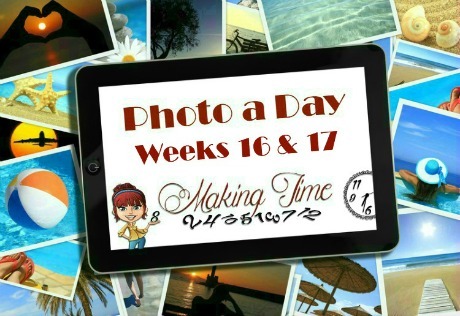 *I received complimentary entrance to help facilitate this post. As always, my opinions are still 100% my own and in no way influenced by the brand. Any claims or statistics should be confirmed with the brand. Please see this blog’s full policies and disclosure here.